Since I’ve been away since last Thursday I had lots of catching up to do. In the morning I did some paper work that just had to be done. Looking outside it was cold, windy but… yes there’s a but… it was very very sunny with no clouds in the sky. 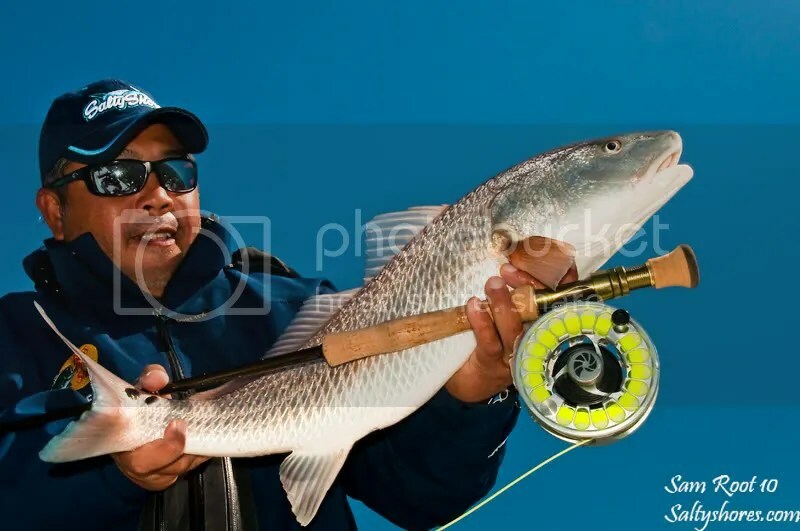 This lends it self great for fishing sand flats sight fishing on fly(well except for the windy part). Knowing it was going to be blowing 15-20knots today I brought out the 10wt. Well the wind was even almost too much for the 10wt. It was very tough rolling the fly over against the wind for any distance at all. I did manage to fool 2 fish today but only one came boat side. When the winds started to crank up even more and white caps started to appear on the flats, we decided to bag it and call it a short fun day. 3 hours of fishing was plenty considering the conditions. It was blowing so hard it blew the stripping basket off the boat and it had 3 pounds of weight in it. Needless to say.. I fell even further behind. Is there a place where you can buy more time? Photo note: This photo was shot in manual mode. iso 200, 250s, f20. The built in flash was used as a fill flash to get under the visor for less of the shadow effect.